An IKEA kitchen planning service review and IKEA delivery service review, plus some tips and ideas about planning and installing an IKEA SEKTION kitchen. We recently remodeled our kitchen with the IKEA SEKTION system and opted to use a couple of IKEA’s kitchen services to do it. 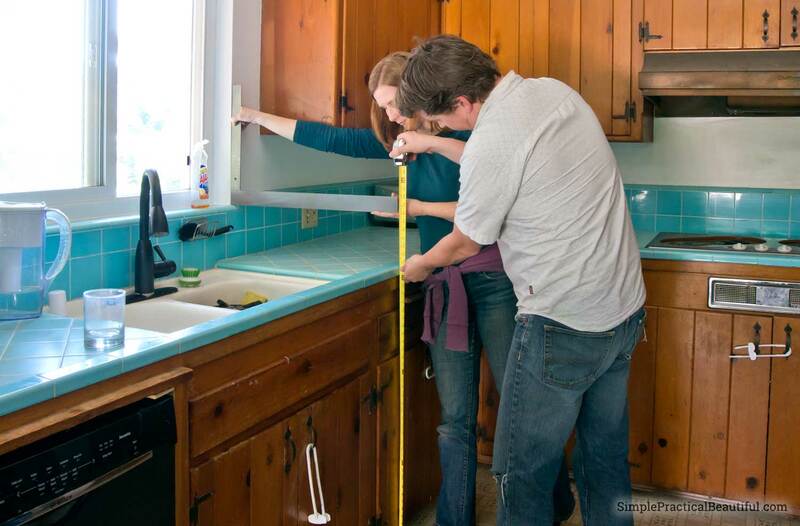 We measured the kitchen ourselves, but chose to use IKEA’s Kitchen Planning Service and IKEA’s delivery service. We also installed the kitchen ourselves. This is a totally unbiased review because IKEA did not compensate me in any way. In fact, they don’t even know I’m writing this. You can take a look at IKEA’s kitchen website for more information about their services. IKEA Kitchen Planning Service – Is it worth it? IKEA’s kitchen planning service currently costs $59, but if you are an IKEA Family Member, they will give you a $59 gift card when you buy your kitchen. You cannot use the gift card on your kitchen purchase, but you will probably need to buy more parts for the kitchen while you’re installing it. So in theory, the cost of the planning service is $0. We went to IKEA to schedule a time for our kitchen planning service. You can do it online, but we wanted to look at the store displays, so we were there anyway. They had 2 or 3 time slots on each day of the weekend that we could schedule. We were told we needed to plan to be there for the entire 2 hour time. For us, that meant hiring a babysitter for at least 3 hours. I had already planned our kitchen in Adobe Illustrator and then with IKEA’s home planner online. My reason for using the kitchen planning service was not to design our kitchen, but to double check that my plan would work and to get help with a couple of small design problems I was having (like centering the range hood over the range). The IKEA kitchen planner that we worked with used the same software that I used online, the home planner tool, but she could go so much faster! Partly because it wasn’t an online program for her, and partly because she had lots of experience using it. Our kitchen planner started by quickly reviewing our kitchen plan to make sure everything would work. She asked questions and clarified our plan then gave suggestions for improvements. She added side panels so that the cabinets that had side showing would look finished. She took out the lighting options that the software automatically adds. And she even gave some innovative suggestions, like adding a fourth drawer below the microwave because we had the space. Our kitchen planner was very friendly and helpful. She talked with us, not at us. Plus, we met in an enclosed room, instead of standing next to a computer on the salesroom floor and trying to talk over the noise. The experience was very good. There were a couple of drawbacks when we used the IKEA Kitchen planning service. They are experts at how IKEA SEKTION works, not general kitchen design. Some of the options our planner gave for solutions were, well, ugly. Yes, they would have functioned in a kitchen, but it wouldn’t have looked well-designed. I’ve seen this in a few DIY IKEA kitchens, where the kitchen looks complete, but it’s obvious the homeowners designed it themselves. If you’re not sure about your interior design skills, you might want to hire a professional kitchen planner instead of using IKEA’s kitchen planning service. Our planner also didn’t know what to do with our modifications. For example, our old kitchen had a beautiful metal range hood that still worked perfectly. I wanted to use it in our new kitchen instead of buying one that I didn’t like as much. I’d already found IKEA SEKTION cabinets that were the right size to hold it, but our IKEA kitchen planner didn’t quite know what to do with it. She offered a couple of ideas, but none of them really worked. I had to go home and figure out a solution that I was happy with. Which leads me to my last drawback. 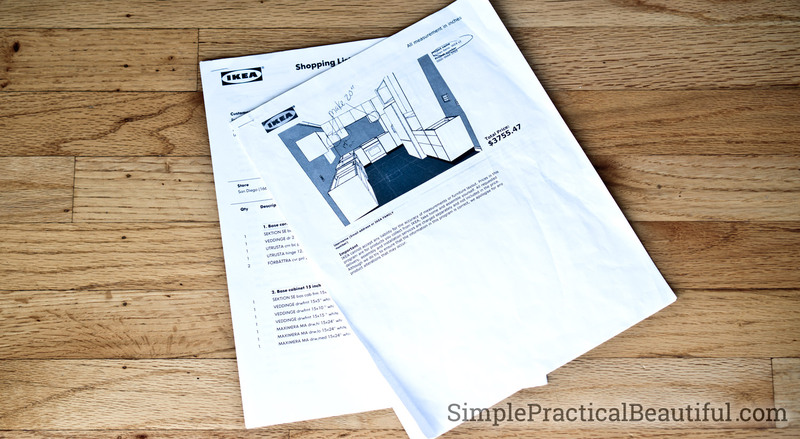 If you don’t order your kitchen during your planning session, you have to go through an hour-long process with an IKEA sales associate on the sales floor to order, just like if you don’t use the planning service. Well, hour-long if they aren’t too busy when you come in. I’m not good at quick decisions, especially when it comes to my home. I like to think everything through and then sleep on it to make sure it’s what I really want. So even if we had found perfect solutions to everything, I still would have needed to come back later. It would have been nice if we could just have called our kitchen planner back a few days later and told her to go ahead and order everything. Our planner did give us a good tip for when to come back in, though. In the mornings, IKEA is busy with contractors ordering kitchens. In the evenings is when most homeowners come in to order. So, early afternoons are the best time to get help in the IKEA kitchen department and to order a kitchen. The kitchen planners know IKEA SEKTION kitchens inside and out. You’ll get good suggestions that you might never have thought of. It takes 2 hours, plus driving. Time is valuable. There still might be parts you don’t know you need until you start building the kitchen. They are not great at customizing or integrating SEKTION parts with non-IKEA items. I was very happy with the IKEA kitchen planning service, I just wish I had realized its limitations. It was worth the time it took. I just shouldn’t have expected much help with my design dilemmas. 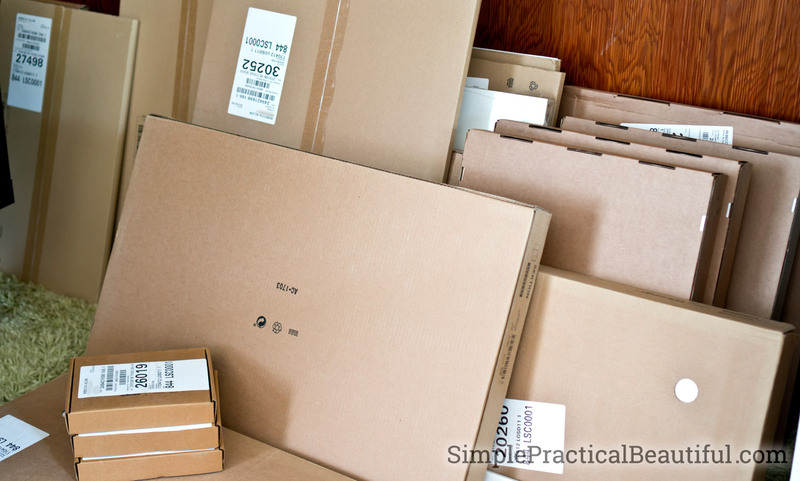 IKEA Delivery Service – Is it worth it? Just to clarify, IKEA hires a third-party service to deliver their kitchens (and other items) when you pay for delivery. So, this is not a review of just the delivery itself, but IKEA’s involvement through the whole experience. We paid $59 for delivery when we ordered the kitchen. We also bought a mattress at the same time and had it delivered with the kitchen for no extra cost. The IKEA associate told us approximately what day the delivery would happen when we ordered and found out the exact day and four-hour time range a day or so before everything was delivered. All of the kitchen parts were plastic-wrapped onto two large pallets. The deliverer took off the plastic and unloaded all of the boxes into our garage. They took up almost half of our two-car garage. There’s no way even half of it would have fit it our car. I doubt even a large car or truck could have fit our whole kitchen system. I asked him to check to make sure everything was there. He said it was and gave me a list of all the parts with their item numbers. He said I should double-check too, just in case because you only have four days to report anything that’s missing and have it replace by IKEA. My daughter and I spent about an hour going through the list and checking off inventory. In the end, we were missing 5 parts. We called IKEA to report the missing parts and were told that if we needed the parts quickly, we should go to the IKEA store and pick them up (before the 4 days were up). IKEA is a half an hour drive, and we weren’t in a hurry, so we asked them to ship the parts. (We bought the kitchen during the spring sale, but didn’t plan to install it until summer.) We were given a case number to refer to if we needed to call IKEA again. About two weeks later, someone from our local store called to confirm the parts we needed. He read off the names of the parts, instead of giving their numbers, and they sounded right. I wish I had taken a few minutes to look at my original order and confirmed they were correct because I only had the part numbers on my inventory list. A few days later, 3 of the 5 replacement parts arrived. So, we called again, gave our case number, and a couple of weeks later, the final 2 part arrived. Luckily, we were still a month away from installing our kitchen. Order more than just the kitchen for the same price. Save gas and wear on your car and multiple trips to IKEA. Expect that a few pieces may be missing and need to be reordered. You will have to wait longer for delivery than picking up the kitchen yourself. Overall, it was definitely worth the delivery cost. It was so convenient to have someone bring all of those boxes and parts to our home instead of hauling them ourselves. The wait time didn’t really matter to us. The only downside was calling IKEA, which always involves being on hold for a long time before you can speak to anyone. Since I have done so many DIY home projects and sewing projects. I know the importance of measuring accurately. We measured each wall across the top, middle, and bottom. We measured from several directions to get the exact location of all the outlets, utility lines, and other details. I was confident in our measuring abilities. It involved a tape measure and lot of climbing around our kitchen. Plus recording all of the measurements accurately. That’s something I can do. Especially since we measured everything to the sixteenth of an inch, and IKEA’s kitchen software will only allow down to a half an inch. Honestly, assembling and installing the kitchen was the easiest part of our kitchen remodel. Their instructions look just like all of their other furniture assembly instructions, black and white drawings. 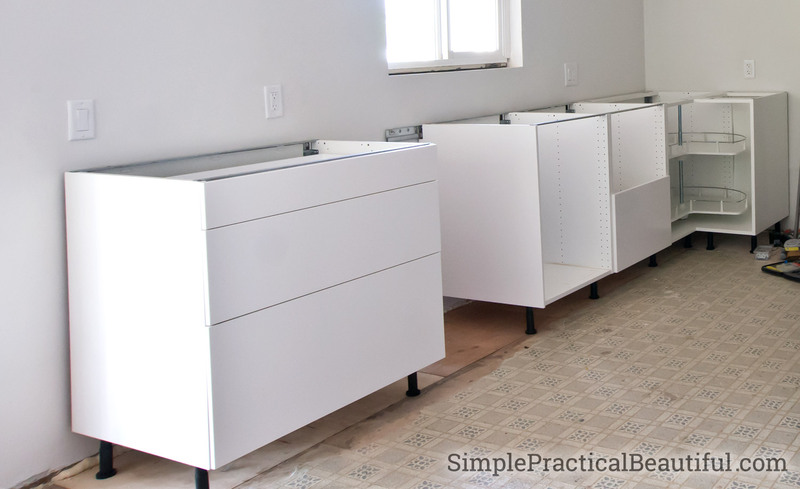 And once you understand how to put together the four basic parts—base cabinet, drawer, upper cabinet, and doors—assembling them goes pretty quickly (You can take a look at my videos on how to assemble them, if you’re not sure). Hanging the cabinets is also pretty simple with their rail system for both upper and lower cabinets. Just mark where you want the rail, make sure it’s level, attach the rail, then hang the cabinets. Demolishing a 60 year-old kitchen was a lot more work than putting in a new one. But the most time-consuming part of our kitchen remodel was repairing walls and preparing the room for the new cabinets. That and planning and installing new lighting and electrical. If you want to see more about our kitchen renovation, check out the post below. It’s been quite an adventure, but I totally love our new IKEA SEKTION Kitchen. Wow. Excited to see your new finished kitchen installation. Thanks for the tips and showing us the pros and cons. Thanks. I’m excited to share our finished kitchen–hopefully soon! These tips are all things I wish I had known going into buying a kitchen from IKEA.